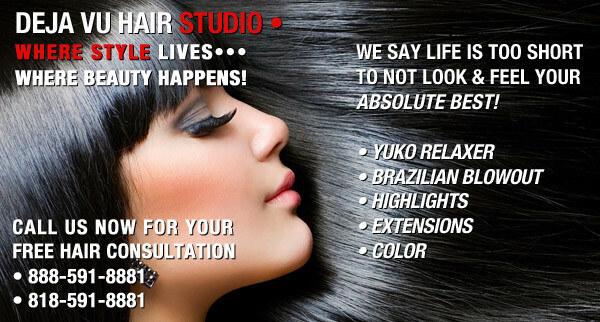 DEJA VU HAIR STUDIO • Where Style Lives…Where Beauty Blossoms! Do you patronize a Beverly Hills hair salon or Santa Monica hair salon? Try us! Why?…Because we’re passionately committed to offering truly exceptional styling services for men & women! Easy driving from LA, Beverly Hills, Santa Monica, Malibu and the Valley.